And so it is time. Last Friday I bumped into Martin from the Filthy Tongues and he handed me CDs of their new album. I was particularly interested to see the finished CD as I’d been responsible for Martin discovering the artist Gerrry Gapinski whose artwork had been used for the cover. Regular followers will be familiar with Gerry’s work from the Avalanche tweets and blog. I tweeted we had the album not realising its official release date was the following Friday and immediately gave it a listen to be more than pleasantly surprised at just how good it was. Two more plays later and I was sure this would be one of our albums of the year and with great artwork too ! I was aware that the album was on sale from the band with a variety of prints which given our involvement it would have been nice to have but I could live with that. However I was then sent a barrage of very polite and apologetic messages asking if I could hold off selling the album until their fan base had received it first and their HMV launch the following week. I completely understand why I was asked but the bottom line is even with an album with a cover courtesy of Avalanche we are way down the pecking order. Now for most albums given we would only sell a handful after the band and HMV took their cut it would not be an issue at least for the band. However the problem with this is that it is a very good album indeed but once the fans have it and HMV have given it a couple of weeks it will be finished unless of course someone happens to stand there day in day out telling people asking for recommendations what a good album it is and playing it so people will ask what it is. People love it when there is a story behind an album so if they had any doubts Gerry’s artwork will seal it. Add in our social media and website and sales from our end of year chart and the numbers start to mount. We will never reach the 800+ sales we achieved for the first Withered Hand album again but even so. Then there is another dilemma. We go on social media and say this will without doubt be one of our albums of the year and many of our followers will simply go to FOPP or HMV and buy it because they are nearer. But there is more. When the Frightened Rabbit album was announced I immediately received enquiries as to whether there would be an Avalanche or indies special. We had sold 110 out of 500 of the last limited vinyl. At the time HMV/FOPP were in administration and only stocking important titles on CD. Vinyl was not considered an important enough format for any artist even when they were playing an in-store as Frightened Rabbit were. I was fairly sure but not certain that this time there was no special format something that was recently confirmed. Meanwhile fans were encouraged to buy from the band’s Warners website with the vinyl a bargain £12.99 for a signed copy. Again as I suspected this is actually less than the cost to a shop who would expect to sell it for £16.99. Want a signed CD ? That will be Amazon or the band website at a price this time just above cost. Never mind the week before has some great releases. Explosions In The Sky with a limited vinyl except that their UK label put it on sale ages ago at again a price below cost. The Last Shadow Puppets also have a limited vinyl but you can be sure their label will email the entire LSP/Arctic Monkeys fan base to sell directly and if previous emails are anything to go by not even mention it will be available in shops. That leaves us with a limited indies only Mogwai vinyl which shops are at least given a fair chance to sell. Depressing as all this might be for a shop like myself it is nothing compared to the Record Store Day list for this year. Given the fantastic rosters many record companies and labels have what shops have been offered is a huge disappointment but not a great surprise given vinyl reissues were once an unusual occurrence whereas they now appear every week. Collectors will still buy the artists they collect but it is no wonder so many shops are asking what people are looking for as it is impossible to guess what these once a year customers will buy. It is no coincidence that just two weeks before Record Store Day there is an independent label fair in London with excatly the sort of interesting goodies that Record Store Day should be all about. As a consequence I’ve decided to wirhdraw from RSD. No doubt we would have sold a few Primal Scream, Malcolm Middleton and Associates singles but then on the other hand we will have lost far more sales to those artists who all currently have their new albums / reissues available on PledgeMusic. My original intention had been to assess how we moved forward after RSD but with that decision made it seemed sensible to decide on the shop’s future now. Given all I’ve said it is clear that there is simply not enough business left after everybody else takes a cut for Avalanche to do what we have done for the last 30 years and consequently I will shut the doors by the end of the month. There has been a huge interest in the History of Scottish Music Centre idea and it will give me time to pursue that. It is a decision made even harder when only this week there have been customers in especially from the US, Australia and Europe just to buy vinyl, Scottish bands, posters and Avalanche t-shirts. The first email I opened yesterday was from an Italian customer returning to Edinburgh wondering if I had anything as good as the There Will Be Fireworks album I sold him on his last visit. What will end is a dedicated shop where customers can buy the music they have often read about via our social media. What is possible or indeed likely is that there will still be a place customers can go to buy the music we are so well known for whether that is part of a Scottish Music Centre or elsewhere. Avalanche’s influence and worldwide reach has never been greater but now we are in competition with artists, labels and record companies there is not enough support to continue. 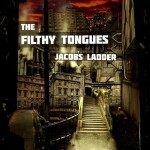 You should buy the Filthy Tongues album it is a great album. 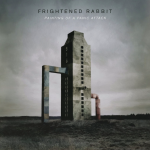 Frightened Rabbit are it goes without saying a wonderful band and I heard from Scott only yesterday offering support. This is just how things are now. There will be a sale. Whenever I popped up to Edinburgh I always looked forward to a visit to Avalanche, and I cherish the handful of vinyl records I purchased there, none more so than the shop assistants. My journeys to the city will be dulled by this sad news. I wish you all the best for future ventures and thank you for Avalanche records. So sorry to hear about the demise of one of the bedrocks of Edinburgh’s music scene. I wish you every success for the future especially re. the history of Scottish Music. I never got down to Edinburgh as often as I would have liked, but thanks for stocking our tapes, almost 30 years ago now up at the old shop.. This is such sad news, over the years I’ve spent a fair bit in all 3 of Avalanche’s shops. Particularly liked the ones opposite the Pear Tree and the one in Lady Lawson street during the 90’s. Always wear my Avalanche T-shirt with pride at gigs in Cardiff, Bristol & Birmingham. The end of something really special in Edinburgh. Respect for holding on for so long.. Heartfelt analysis of how the sale of records continues to be driven away from record shops. A real loss.. Power to your elbow for future adventures in music and art. Get the feeling that there will be an exciting period for you ahead. Life just keeps on getting shitter. I always intended to visit Avalanche but I’m at the other end of the UK and don’t have much spare time/money. I stumbled on your blog after searching for current info on The Filthy Tongues. The closure of Avalanche would be devastating news but as with most events like this we(the punters)have ourselves to blame. Most of us are too bloody lazy to walk a few extra steps to go to the independent shop, or get out to see a live band, or search out some new music. The music out there just now is as good as it’s ever been (IMHO)and it’s sad to see shops like Avalanche disappear while music is so vibrant. This should be a lesson to us all.